Claire and I went to Victoria Park today for ‘BT live’ after work. We went on the ferris wheel and saw some amazing views over London (annoying, I forgot my SLR, and my phone photos were quite poor). 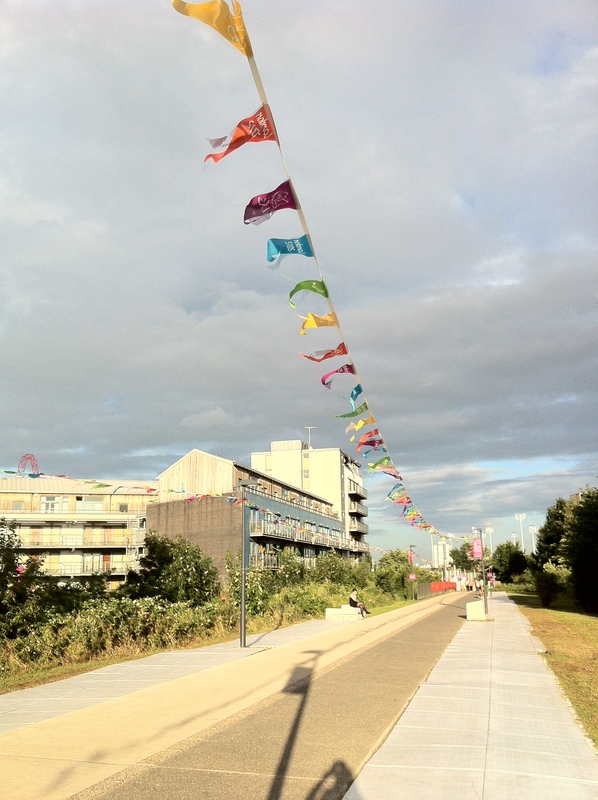 Whilst walking home we went a bit off route to see how close we could get to the Olympic Village. This was about as far as we got, soon after they were asking for tickets, but it was really fun and interesting to see the walk up!